Shop at www.lazada.com.my or Lazada (MY)'s app and use Online Banking (FPX) as your preferred payment method. Take a picture of "FPX" in the most creative manner and upload it to your Facebook or Instagram account. 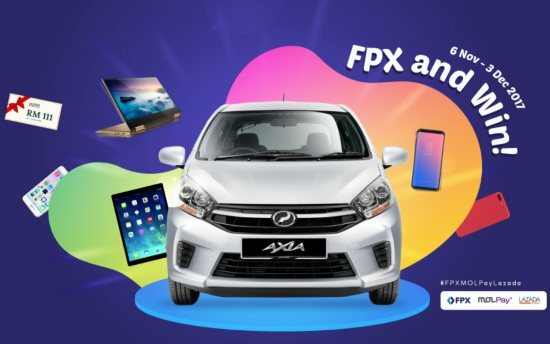 Insert a caption why "FPX" is your preferred payment method, including your Order ID and a hashtag #FPXMOLPayLazada. The post must be public and posted on the same day as your purchase. 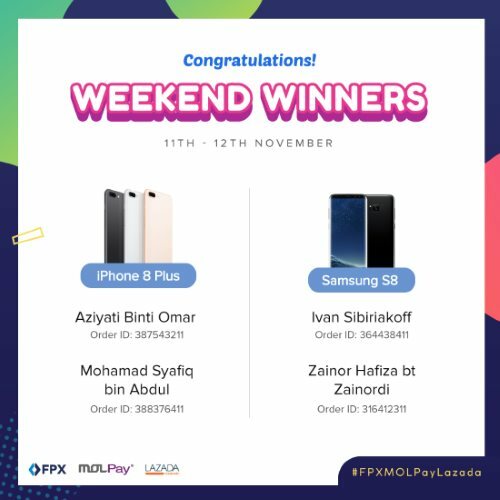 For Grand Prize entry, shoppers who spent a minimum of RM100 have to fill in a form at https://www.molpay.com/fpxmolpaylazada/ after completing all the steps above. Visit MOLPay FPX and Win Contest page for more details.